Shrek and Donkey on another whirlwind adventure! This post is a little tough for me, because although I am great at picking out favorites, unlike Samm, I do have a hard time analyzing exactly how something affects me. Everything I’ve ever read has had some impact on my life and who I am as a person, so determining the top three most influential is going to be difficult for me. Let’s give it a whirl, shall we? Picture this: it’s Christmas morning, 1996, and a bleary-eyed, tousle-haired, five-year-old Kelsey is enthusiastically ripping wrapping paper off of presents. Unwrapping one such present reveals the green plaid border of a book, my very first chapter book. I didn’t know it then, but that would be the proverbial book to launch a thousand ships. This book means so much to me, because it is the book that started my life-long love affair with reading. After finishing Little House in the Big Woods, I went on to read every book in the Little House on the Prairie series, and every companion series that they came out with. I loved Laura, and longed to be as fierce and resourceful as she was. I wanted to ride stallions across the open prairie, ford rivers, and pick fresh berries to make into pie. I wanted to experience a maple syrup tapping, and a family dance. This book, and consequently series, introduced me to the art of losing myself within someone else’s adventures, and for that I’ll forever be grateful. When I first started reading, I tended to lean toward stories that stayed within the realm of possibility. I liked stories about things that could actually happen. If you know me, or have listened to even half an episode of the podcast, you may be surprised to learn this, since these days I am heavily entrenched in the world of magic. 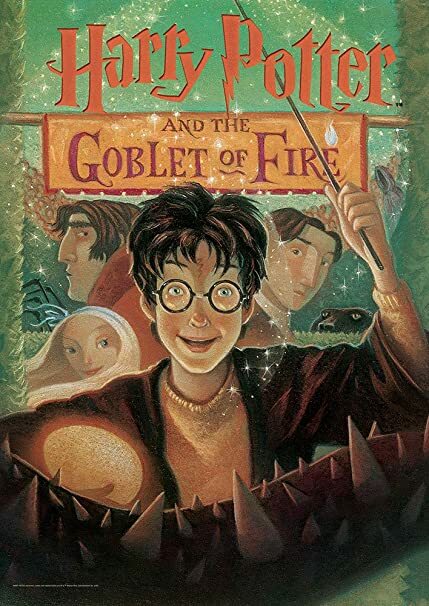 While Harry Potter is largely responsible for my love of all things magical, there is at least one book that predates my initial reading of Harry Potter, and that I consider my introduction to fantasy. A Wrinkle in Time is a book that I reread almost every single year. The story of Meg traveling through space and time to save her father is rife with messages and lessons that I still try to follow to this day. Meg not only overcomes her fears and faults throughout the book, but she embraces them and uses them to her advantage. This book showcases the dangers and stifling rigidity of conformity, and I believe it has been instrumental in my desire to always be myself. This book. This freakin’ book. I feel as though this book needs no introduction or explanation, as I sincerely doubt I possess the words to describe what this book means to me. This is the first book whose release I actively anticipated. It was the longest book I had ever read, and contained the first impactful fictional death that I had encountered. I devoured this book, and have read it more than any other. It is my favorite book. I don’t even know where to begin to describe the influence this book has had on me, as it has basically just become a part of who I am. The biggest impact this book has had, I suppose, is that it taught me to never give up, and to always remain constantly vigilant. Although it was a Death Eater disguised as a professor who said it, the phrase “constant vigilance” has always resonated with me, and is something I repeat to myself whenever I feel like throwing in the towel. This phrase from this book means so much to me that I recently made it a part of my body forever. And if that’s not a mark of its influence, I don’t know what is. I love all three of these! Have you read “The Austin Family Chronicles” by Madeline L’Engle? That’s one of my favorite series, and given the amount of books I read, that says a lot! Book readers and general opinion havers Samm and Kelsey share their thoughts on whatever they want as they explore life best friend style. This is the official website of Samm and Kelsey, the hosts of the Full Spoilers Ahead podcast. We’re still under construction at the moment. Thanks for dropping by!